Question 1: From Paul: Heide Martin’s serving trays in the May/June 2018 are beautiful and I have since made a couple. My question is about keeping the bottom boards flat. I cut some walnut that had been air dried for probably 20 years. In an hour or two both boards cupped. I then sequentially tried wetting one side, wetting both sides, soaking in water, soaking in fabric softener, each time clamping the boards to keep them flat and leaving for days and days to dry out. None of these things worked and in the end I ended up using some walnut plywood instead. How do you folks keep wide, thin boards flat? Question 2: From Richard: In reality we all have limited amount of shop time available. However, if the amount of time you could work on a project was not limited what one piece would you choose to make? Question 3: From Mark: I have been building furniture full-time for just over a year. Is it legal and/or ethical to build something from the magazine or a video workshop and then sell it? For instance, if a client asks me to build 4 Adirondack chairs, my thought is build them loosely based on what I find at Fine Woodworking, vs. reinventing the wheel with my own design every-time. Question 4: From John: I was reading a FWW article by Steve Latta in issue #241 about draw-bored tenons where he said, “I make pins from riftsawn or quartersawn stock...”. If you’re making dowels, how can it possibly make any difference whatsoever if you use quartersawn or plain sawn boards? I still like Steve Latta, btw. Keep up the great work, see y’all at FWWlive! Question 1: From Shawn: I’m working on a Christmas present for my sister. It’s a hallway table with 2 drawers in cherry. This is the first piece I’ve made with cherry. Some of the surfaces have a quarter sawn grain orientation and I’m finding them highly prone to tear out. My card scraper seems to be the only tool I’ve got that can tackle it, and even then I still have to pay really close attention to the changing grain direction. I’d like to hear any recommendations you might have about tools and techniques to deal with tear out, and also about other tear out prone woods you’ve worked with. I’ve found quarter sawn maple to be difficult as well. Question 2: From Joe: To build a bed for my grandson I ordered 50 bd ft of rough lumber, Black walnut. The wood was beautiful but this is where my confusion began. I got the job done but I don't know if I went about it the best way. The bed with headboard, frame, 6 drawers underneath, and footboard had over 100 pieces. All the lumber was about 8 inches wide and about 10 feet long. Is it better to mill the long boards and then layout all the parts, or layout the parts oversize and cut them out and send smaller pieces through the planer and jointer? 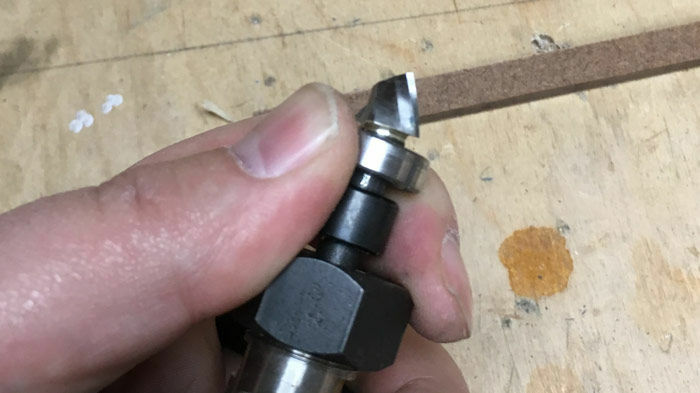 Question 3: From Mike: I’ve come to realize my jointer needs tuning, and i recall you guys saying how you set your outfeed table a hair lower than your cutter head. I can’t find the episode that contains this discussion, but i don’t recall there being any reasoning for this. 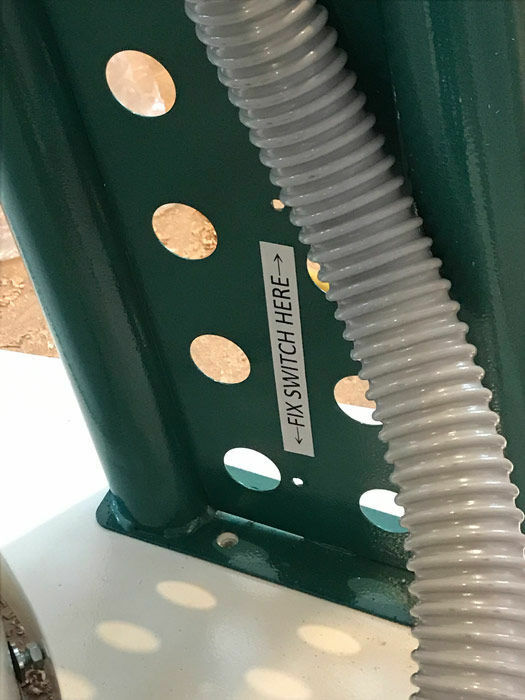 I adjusted mine as y’all suggested but found this was causing the trailing ends of the boards to not touch the blades. After reading my powermatic manual, it says to have the outfeed table level with blade, so what’s up with your hack causing me this grief? 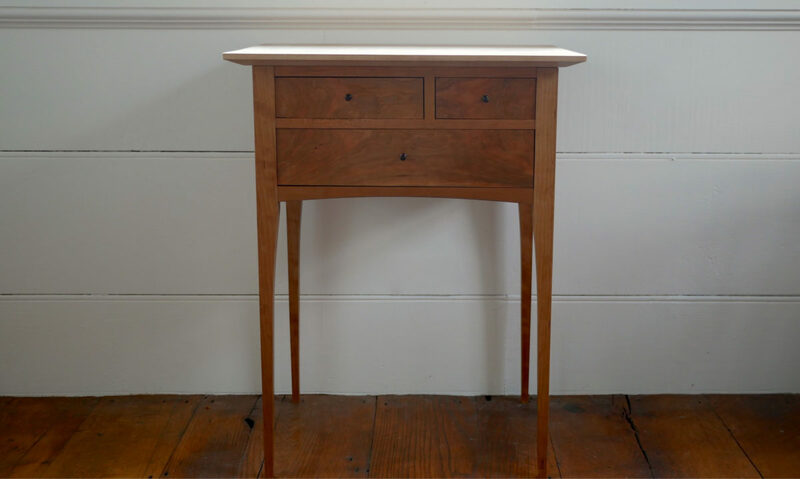 Chris Schwarz is a furniture maker and writer who works from a German barroom built in 1896 in Covington, Ky. He is one of the founders of Lost Art Press, a book-publishing company that specializes in handwork, and Crucible Tool, a company that makes hand tools for woodwork. Chris is the author of several books, including Workbenches: From Design & Theory to Construction & Use (F+W Media), The Anarchist’s Tool Chest, Campaign Furniture, The Anarchist’s Design Book and Ingenious Mechanics (Lost Art Press). In addition to his publishing efforts, he builds casework and Welsh stick chairs for clients all over the world. Mastering compound angles typically means mastering trigonometry. But it doesn’t have to be that way. Compound angles can be measured, laid out, and cut without any math—or even numbers. Chris will show you the methods he uses for replicating unusual (sometimes radical) compound angles to build his Welsh stick chairs. The method requires just a wire clothes hanger, a sliding bevel, and a ruler. (Oh, and you’ll also need to bring an open mind.) The technique allows you to replicate compound angles from photos or drawings, or to create new designs using half-scale models (made with that clothes hanger). Register now for Fine Woodworking Live 2019! 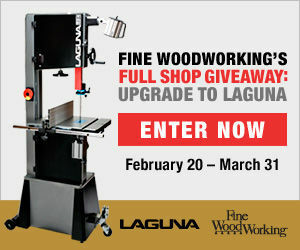 Enter for your chance to win Fine Woodworking's Shop Giveaway: Upgrade to Laguna! From William: I live in Ohio where the Emerald Ash Borer is ravaging every ash tree around. With all these ash trees coming down and the infestation of the Ash Borer, are we looking at a future shortage of ash trees? Should we, as woodworkers, stock up on quality ash boards while we can get them and while they're fairly inexpensive? From Paul: I’ve started looking for a better sketchbook and am overwhelmed by the choices. I’ve heard Mike talk about the books he uses, but I’ve never heard him mention the brand or “model” he favors. On STL 155 he mentioned 60-80 lb paper, spiral bound, unruled, 6x9 size. Frankly, that limits it to about half a zillion options and it’s very hard to judge quality even touching the book at the local art supply place. So please spill, Mike! 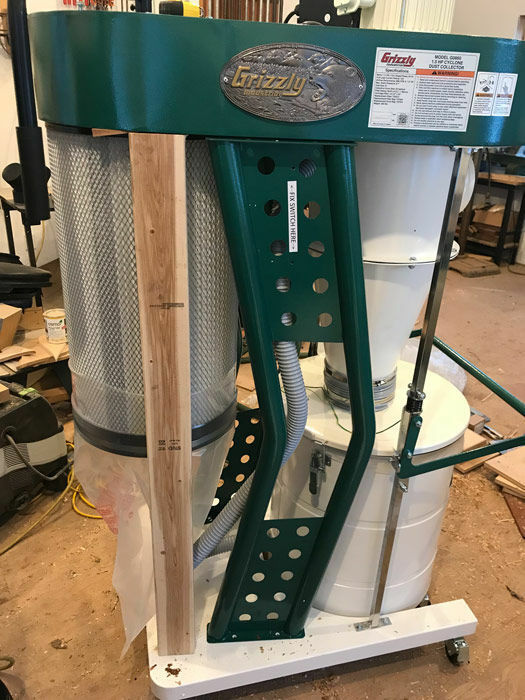 From Caleb: I'm wondering if any of you have used a hollow chisel mortiser as a drill press? Is this a viable way to get around buying a drill press? From Chris: What books inspire you to get out to your shop and build something? Any favorite books on the history of woodworking and maybe different trends through the ages? Or books specific to a style of working, like Shaker or arts & crafts, etc.? And from Larry: I would love to see a Live Talk episode on “go to books” reference books for novice woodworkers. Leave a comment on this episodes show notes page to be entered in the giveaway of Craig Thibodeau's book, The Craft of Veneering. From David: I have avoided cordless power tools because as a hobbyist and renter, I seldom use the tools outside of the basement workshop. I've been told I don't know what I'm missing, but it seems my wallet prefers it that way. I'm most concerned about trying to commit to one brand/manufacturer or contend with the expense and hassle of having multiple chargers and batteries that aren't compatible. Do you feel as though it makes sense to keep all of your cordless power tools within the same brand? Or is my concern unfounded? If you had to commit to a brand, what would they be and why? From Harry: How can I prevent Camellia from becoming all gummy. After letting a plane set for a few weeks that had been wiped down with Camellia Oil it was next to impossible to get the plane apart. I actually caused some minor damage it was stuck so hard. From J: Hey folks, I recently volunteered to be the shop manager for my local guild of woodworkers. We have a 16” Oliver that apparently, according to some, must never have its bed waxed. They prefer it is cleaned only with kerosene, the reason being that it’s believed waxing a jointer bed will cause glue joints to fail. Any merit to this train of thought? Or can I just wax it and make everyone’s lives easier. From Joe: I’ve gotten very good at sharpening my hand plane blades as well as making my wood surface feel silky smooth off the hand plane. When using a 2 pound cut shellac as a finish, do I need to rough up wood surface with sandpaper (such as 300 grit) so the shellac can stick better to the wood surface? 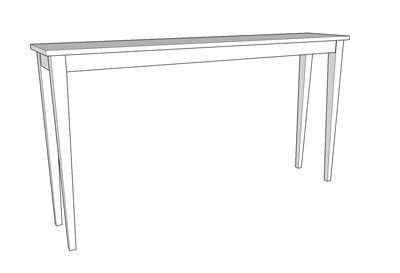 Question 1: From Fabian: I have a sliding table saw and struggle to convert all the jigs mentioned in the magazine to fit my saw. 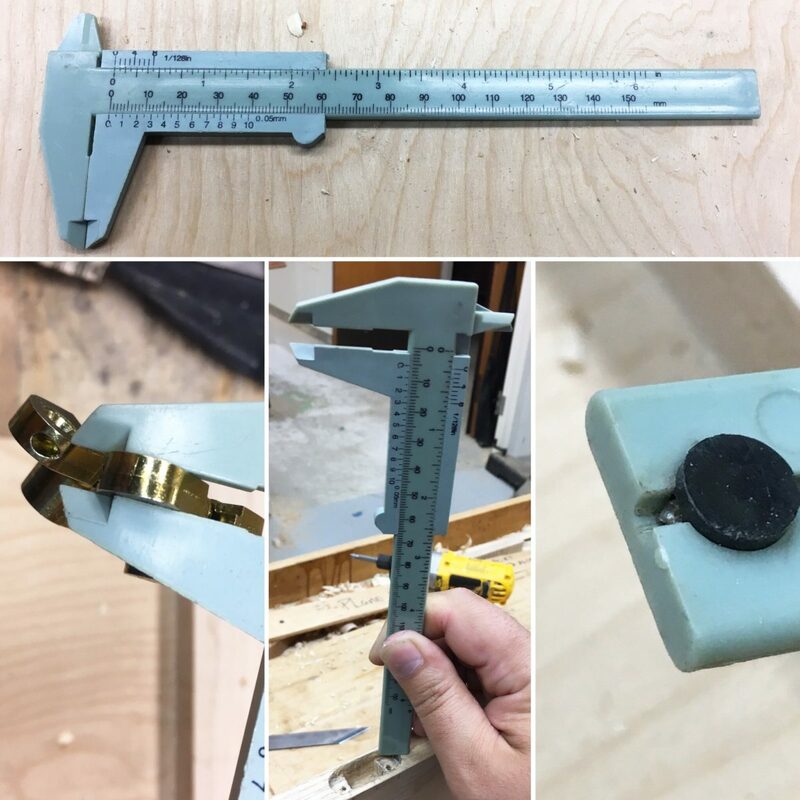 How would you attach for example a kumiko grid jig as used by Mike in the article "Spice up your work with kumiko" to the saw? Do I fasten it with bolts to the crosscut fence or just let it ride in the one miter slot in the sliding table? In either case it is just secured on the left side of the blade. Question 2: From Chris: I'm on the lookout for a new paste wax solution. I'm totally over the petroleum smell of commercial options, and would love something simple with just a bit of luster to apply to my projects. Has Mike ever shared his recipe to attempt to recreate the non-longer-available Goddard's Cabinet Makers Wax? I never used the product in its original form, but I'm sold on his description of it. Something natural, simple, and lemon-scented sounds like the perfect solution for me. Question 3: From Josh: I see pictures posted online where people have gotten a completely mirror polished edge on a chisel or plane iron. I’m using a Norton 1000 water stone, followed by a King 3000, followed by a Norton 8000 stone. I can’t seem to get that mirror polish. I still end up with some scratches, no matter how long I work with the 8000 stone, even when honing a new blade. I know Mike recommends 1000/4000/8000, but Lie Nielsen skips the intermediate grit, so I don’t think the 3000 stone is my problem. I’ve thought about trying to get a finer stone than the 8000 I have, but I don’t want a $100 experiment. Question 4: From Peter: The cement floor of my shop is unsealed and kind of wrecks my feet after a day in the shop. Keeping in mind that it’s a rental, do you have any recommendations for an affordable flooring option that may help my feet and also protect my equipment from the sludge that melts off my wife’s car? It needs to be solid enough that I can have my lathe on that won’t increase vibration.